Revenue Management has been in existence for many decades now with airlines being the pioneer when it comes to using scientific approaches to maximize revenues on departures. However in the recent past, there has been a growing realization in the cruise ferry domain about the tremendous positive impact that automated revenue management systems can have on the bottom line and some of the exciting new developments that have become prevalent in the airline industry are becoming even more relevant to cruise ferry operators as they strive to leverage every opportunity to boost revenues in a complex and challenging marketplace. 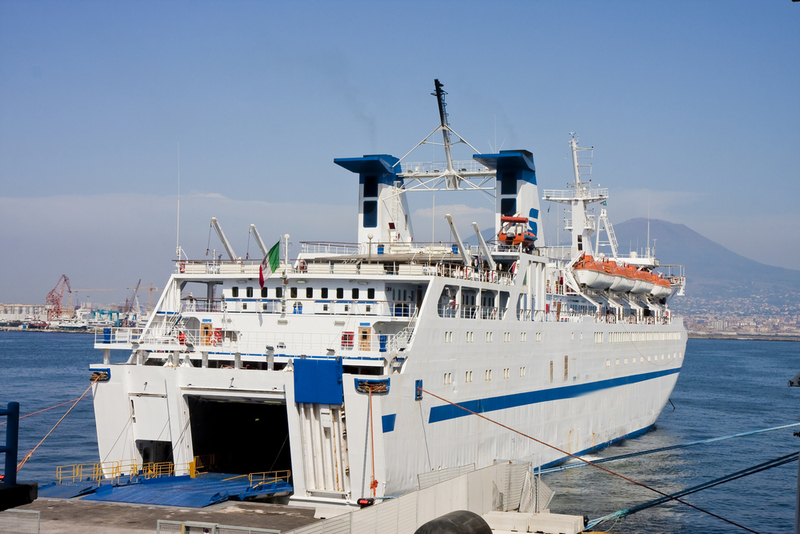 This article outlines some of the existing new capabilities that can significantly boost revenues for cruise ferry operators. Traditional revenue management principles that came into existence decades ago rely on the premise that fare products are differentiated by restrictions (for e.g. : advance purchase, roundtrip, cancellation penalties, minimum/maximum stay,etc.) and that demand for each fare product is typically independent of other fare products owing to the price fences. However a growing number of companies, starting primarily with airlines, but more recently in the cruise ferry industry have adopted a simplified fare structure wherein all fare products have similar or no fare restrictions. Employing traditional revenue management methodologies in a price sensitive environment will lead to significant revenue dilution due to the ‘spiral’ down effect since all passengers would naturally gravitate to the lowest available fare with no restriction based incentives to force upselling. Relying on traditional techniques could result in disastrous consequences as the sailing may potentially go out full but with most of the bookings in the discount classes. An allocation based approach wherein demand for each product is considered to be independent and is based solely on historically observed bookings in each product will result in inaccurate demand forecasts and consequently adversely impact the bottom line. In order to effectively handle this challenge, sophisticated price sensitive models that forecast demand as a function of price have been developed. By using the concept of price elasticity and determining the likelihood that passengers would be willing to upsell to the next higher fare, these models recommend optimal allocations that minimize dilution. The modeling is based on the premise that the total traditional demand at the resource level (typically cabins, passengers, vehicles or freight) remains the same in a price sensitive environment. However the distribution of this demand among the different types of product in the resource is determined using the price demand relationship which takes into account the willingness of a booking to upsell using price elasticity curves. Even in a predominantly restriction free environment, it is quite likely that some product types have restrictions and these models are designed to handle these hybrid scenarios that include product and price sensitive products. As simplified fares become more prevalent in the cruise ferry industry, the need for automated RM systems to support these capabilities will also increase. Studies have shown that using Price Sensitive RM can result in revenue improvements of upto 2%. Historically, cruise ferries have just relied on their own booking data to generate forecasts and subsequent optimization controls without taking into account competitor actions. However there is a growing realization in the industry that passenger booking behavior is influenced by competitor actions in markets where there is a choice. Getting visibility into competitor actions on a regular basis and factoring that in setting inventory levels is imperative for a cruise ferry to retain passengers as well as positively impact the bottom line. Though most cruise ferries employ some form of competitive insight through manual processes, automated processes to monitor competitor activity and influence inventory decisions have been the exception rather than the rule. Studies have also revealed that using competitor price as the sole criteria in making inventory decisions typically results in revenue reduction in the long run and so inventory levels need to be adjusted not just based on competitor fares but also characteristics associated with the cruise ferry including seasonal loads, customer loyalty, sailing times, etc. Automated revenue management systems that can consume competitor data from third party vendors on a regular basis, identify the optimal competitor based on user and system based matching logic and present the results to analysts so as to enable them to make informed decisions can greatly reduce analyst workload while eliminating human error. As awareness increases in the cruise ferry industry about the importance of factoring in real time competitor actions in the decision making process, the need for automated revenue management systems that take into account market conditions and enable analysts make informed decisions is on the rise. In order to maximize revenue in an era of shrinking profit margins, airlines have introduced innovative pricing modules to extract revenue from every available source rather than just ticket fares. Revenue Management systems historically have just focused on ticketed fares to gauge the value of the booking without taking into consideration total revenue contribution of the booking. As revenue associated with ancillary services continues to skyrocket (for e.g. : airlines made more than 3.5M USD on checked bag fees alone in 2012 alone), the need to consider total revenue contribution has never been greater. In the cruise ferry industry, the stakes are even higher given the amount of additional revenue generating options on-board that passengers can choose from once the sailing starts depends. For example, a passenger could purchase a discount ticket (which historically would have automatically resulted in him/her being considered a low value booking) and end up spending a significant amount of money on on-board activities like duty free shopping, dining, internet access, gambling, etc. If the ancillary spend made by this passenger is not considered, then there is the real danger of not realizing significant opportunity by potentially denying space to this perceived ‘low-value’ booking. Conversely a passenger may get on a sailing by purchasing a higher fare ticket with minimal on-board spend with the total revenue contribution being less than that of the ‘low-value’ passenger. So optimizing based solely on ticketed fares does not accurately capture the actual value of a booking and obviously is far from optimal. In order to overcome this, revenue management systems are being enhanced to consider total revenues (ticketed fares + ancillary revenue) in their optimization engines rather than just ticketed fares. One of the key challenges typically posed while trying to measure ancillary revenues is being able to tie in the purchase of an ancillary service to the passenger as well as identify the passenger at the time of booking. Some cruise lines have means of tracking passenger spend through the issuance of cards that track every aspect of on-board spend and can be used to link the passenger to the sale. Once this level of information is captured and stored, the passenger in the future can be classified as a ‘VIP’ passenger and not as a discount passenger based on the ticketed fare purchased. The optimization models will then consider the ancillary revenue along with the ticketed fare and use this total revenue contribution as the true booking value rather than just the ticketed fare to determine the optimal inventory levels. The other component of ensuring these VIP passengers are given preferred availability and targeted promotions involves being able to identify the passenger at the time of the booking through their login credentials. As booking systems get more sophisticated in their ability to handle ancillary services, Revenue Management systems are also evolving in their capabilities to consider ancillary revenues to positively impact the bottom line. In addition to the above capabilities, there are other cutting edge functionalities including customer centric revenue management where inventory decisions are made with the objective of retaining and rewarding your most valuable passengers and real time revenue management that takes into account the most recent booking activity to ensure optimal controls are generated with minimal latency. In the demanding business scenarios being faced by operators around the globe, these capabilities can no longer be treated as luxuries but as necessities if the company is to thrive and increase profits. The good news is that revenue management vendors have realized the importance of being able to support these functionalities and have developed sophisticated solutions that can be deployed by cruise ferry operators with ability to tune inputs and processes based on client specific requirements. As margins shrink due to lower ticket prices and increased competition, ignoring these revenue enhancing functionalities is not a choice cruise ferry operators can afford to make.